I don’t think I’ve ever given the same answer twice verbatim. The answer is always changing, and truth be told it’s more fun to give a flippant answer than one that is straight forward. Presently, I reside in my bedroom in Netanya, Israel. My permanent address is still my parents’ place in Upstate New York, but that’s just because I couldn’t imagine trying to keep up with changing addresses with the government every 2-6 months. My humble brag to end the flippant comment is that I spend roughly two months a year in the Czech Republic. Adding up three weeks, three times a year, give or take, and my state school math does in fact come up to more or less six weeks a year. The end my little New Year odyssey would start to rack up days on the Czech count earlier than ever before. I’ve been to the Ales Hrebesky Memorial four times straight now, as well as attended both holdings of the Frank Menschner Cup. I have some amazing friends in the Czech Republic, and the beautiful country/city mixed with the cost of living has been extremely attractive to me. I was coming from Budapest, after nine days of relaxing, enjoying two weekends of lacrosse, and getting to hang out with my good buddy, Balasz. Prague was only a six-hour bus ride from Budapest, if you were doing it directly. I was looking at a map, which surprisingly I rarely ever do, and realized that to get from Budapest to Prague, virtually every single bus and train route went through the city of Brno. I had never really ever heard of Brno. I was aware that there were other cities in the Czech Republic, I just really hadn’t ever seen one. I had made a new friend in Bratislava this past November at the Bratislava Bats’ box lacrosse camp. Daniel Bezecny came up to me and introduced the Brno Ravens Lacrosse Club. 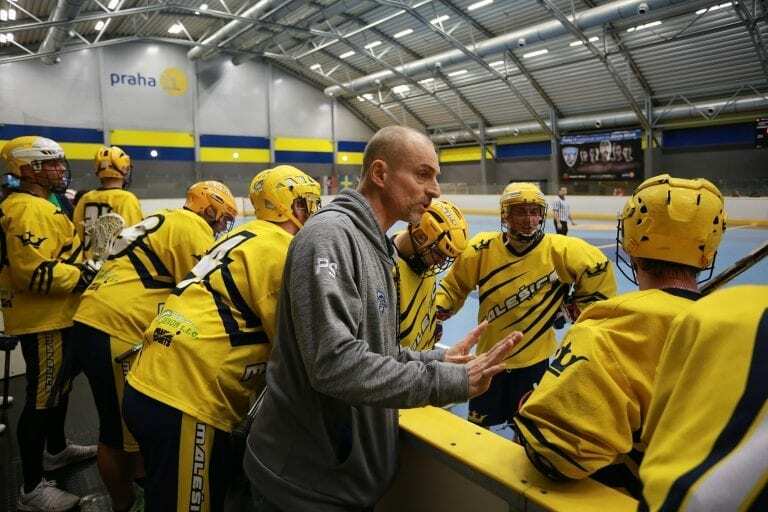 They don’t participate in the Czech Box League, the league with which I am most familiar with as the best box lacrosse league in Europe. 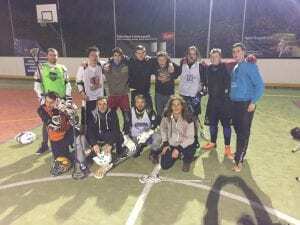 The field league features a few other of the relatively newer Czech Clubs that either don’t have the facilities or the interest in joining the box league. A few days before I left Budapest, I let Daniel know I’d literally be rolling through his city and if he can get field time, I’d love to come to a practice and help out. I figured it was a stretch, being January in the Czech Republic. Sure enough, the next morning I had a text saying we were on for Monday at 18:00. I’m a big Brno Ravens fan now. These guys have a sport club (pretty much how sports are operated/organized in Europe) that actually loves them, contrary to popular sentiment of clubs to adding lacrosse. This club not only welcomes the Ravens, but is committed to building them their own field in the near future. We had twenty guys at practice. AND two goalies! AND plenty of balls! AND they had full sets of equipment that had been donated/supplied. This almost felt like cheating a little bit. No hockey pads. No traffic cones for goalies. The team didn’t have to spend twenty minutes in the woods looking for the one greasy ball. We had an excellent practice, geared towards the concept of building a practice, versus just showing fancy drills. My biggest preach for growing the skills and abilities of teams and players in Europe is the concept of teaching the teams HOW to practice. Getting the most out of their two hours twice a week is the single most important aspect. I crashed with Daniel, and then first thing in the morning we were up and out and I was back on the Regiojet (favorite bus/train company to date) and I was on my way to Prague. 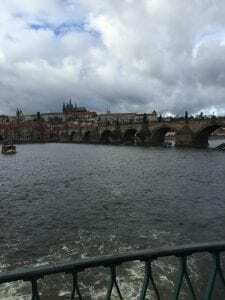 We were held up with rancid weather and highway delays as a result, but I found out the next day that the highway to Prague actually closed shortly after my bus passed through, so I was lucky to get there the day I did at all. I was in Prague for a new (to me) tournament. 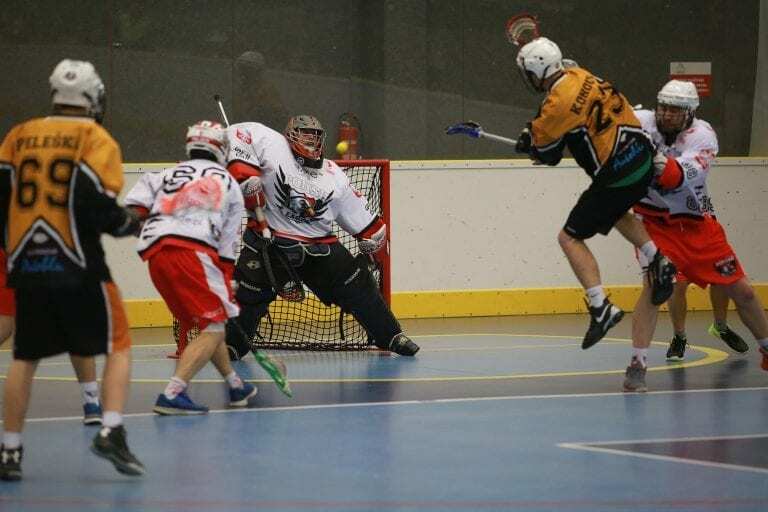 The Winter Lax Cup is hosted annually since 2011 by SK Jizni Mesto in the Southeastern quadrant in Prague’s eleventh district. 14 teams were in attendance from all over Europe. Games started Friday, but I was there on Tuesday. Those extra three days are often times my favorite times in Prague. I can catch up on work… or not. I enjoy heading out to Radotin to eat at the clubhouse, see which of the young LCC guys I’ll see practicing or coaching out on the floor, and to see the Haylett family, who have more or less adopted me over the past few years as their pet American. Niles Miller was on my team for this tournament, and I couldn’t really be happier. Niles and I had played together in Singapore and Hong Kong, won “big” on the craps tables in Macau, and he’ll be joining me in Israel ahead of the World Championships shortly. I was running the team for this event too, actually. This would be the first tournament of the year for the Glasgow Clydesiders. Along with two other guys, we’re in the process of growing the number of tournaments the Clyde attends every year, and to attend a third different tournament in Prague in less than nine months was a no-brainer. The Clydesiders were originally 100% composed of Scottish players. Things changed over time, as they do, and now the team has very few actual born and bred Scots involved. That is changing – as one of our initiatives to bring the Clyde BACK to Glasgow is kicking off later this Spring… but that’s another story. So, who DID make up the Clydesiders this year? This was actually the single most multinational team I think I’ve ever played a tournament with… and that’s saying something. Of the 16 players who were rostered, I had 9 different nationalities represented. That’s cool. That’s something really cool, and I can hang my hat on being the biggest mutt program in existence. I’ve never attended this tournament before, but I had heard from different German and Czech friends that it’s great bang for buck and definitely worth going to. I won’t directly attribute this to the Clyde’s attendance, but after the tournament, local Czechs who had been there in the past said that this year was the best holding of the tournament yet. 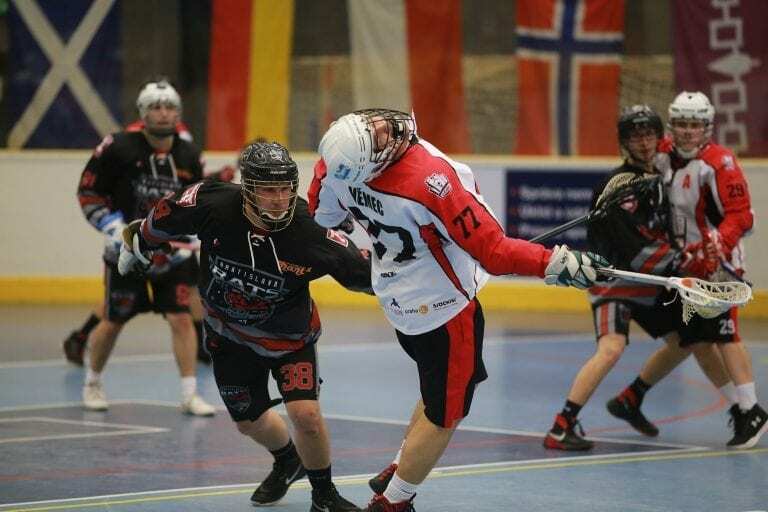 However, I CAN attribute this to the rising profile of box lacrosse in Europe after the European Box Lacrosse Championships in Finland, as well as the game of lacrosse growing as a whole. The facility was beautiful. It really might have been the nicest place to play box lacrosse in all of Europe. This is a high-grade floorball/futsal facility and the boards/floor are absolutely immaculate. The outdoor box at LCC in Radotin will forever hold a place in my heart as one of my favorite places on Earth to play, but I think Jizni Mesto really might have a nicer facility (sorry!). 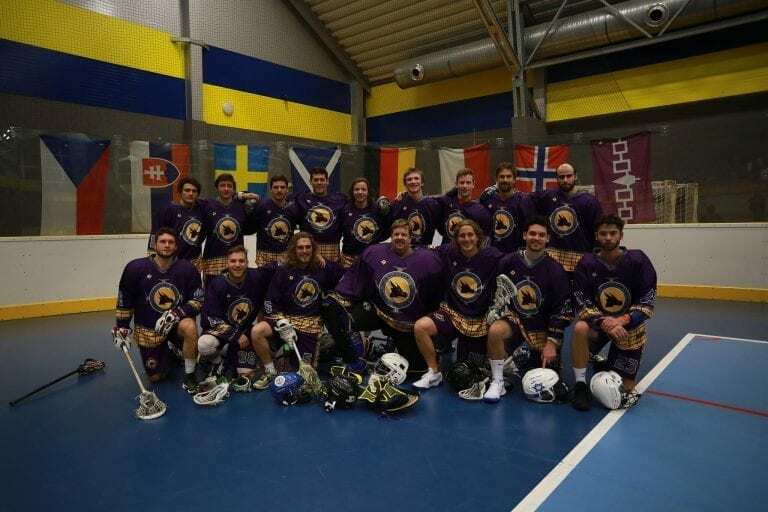 Teams from Sweden, Norway, Poland, Austria and my international band of misfits were able to play against the Czech and Slovakian and German box lacrosse players – the established powerhouse club of box lacrosse countries that everyone wants to catch up to. While it might not feel great on your way to the ground and it might not look great on the scoreboard afterwards, this is a treat for these teams who simply can not get this experience at home. My Italian, my Danish guy… they got to play against not one, not two, but THREE different Czech teams. One could argue that this tournament is even better off in that respect than the Ales Hrebesky Memorial. We had a higher probability of playing more Czech teams. This is ideal from where I’m sitting as a guy looking at different tournaments to take my Clydesiders. We came out on fire and took a win over LC Pardubice, with all three of my Israelis scoring goals in their first-ever box lacrosse games. After another win against the Vienna Monarchs we were feeling great heading into the quarter finals. We took a 4-1 loss to eventual second place Malesice. Their goalie played absolutely brilliantly, and my offense just simply couldn’t figure him out. Our one single goal was a hidden ball trick, so one could argue that we didn’t actually earn a single goal on settled offense. After one more win against our friends on the Deutschland Adler, we were slated to play for fifth place. Is this a prestigious award? Eh, for a team of guys who have never played together from all corners of the globe and the majority have never played box lacrosse? Yeah, I can see the silver lining of this cloud. We were slated to play against the LCC Wolves, the junior program that feeds the senior team in Radotin. With the crew I had, I was quite honestly elated at the opportunity to have this as our final game. I told my boys that we can either win by two, or lose by eight. How much we’ve learned and how well we’ve melded as a team would decide the outcome. The Wolves came right down on transition and scored roughly a minute into the game. I called the earliest timeout of my career. My only timeout for the entire game was used sixty seconds or so into the game. In the huddle I was questioning this decision, but I made it pretty clear that if I didn’t make this exceptionally clear right here and now, we were going to end up losing by eight. My word to the unwise was that you CANNOT let Czechs run transition on you. It’s the bread and butter of the club and the Czech style as a whole, and if you don’t cut the head off the snake you’re going to pay for it. This is free advice, if you ever find yourself on the floor in Czechia, feel free to use it! We battled back, and eventually started putting some balls in the goal. The Wolves wouldn’t go away however, netting the equalizer with a little more than a minute to go. Our inexperience finally caught up with us unfortunately, and we were penalized with a “too many men” penalty with less than a minute to go. 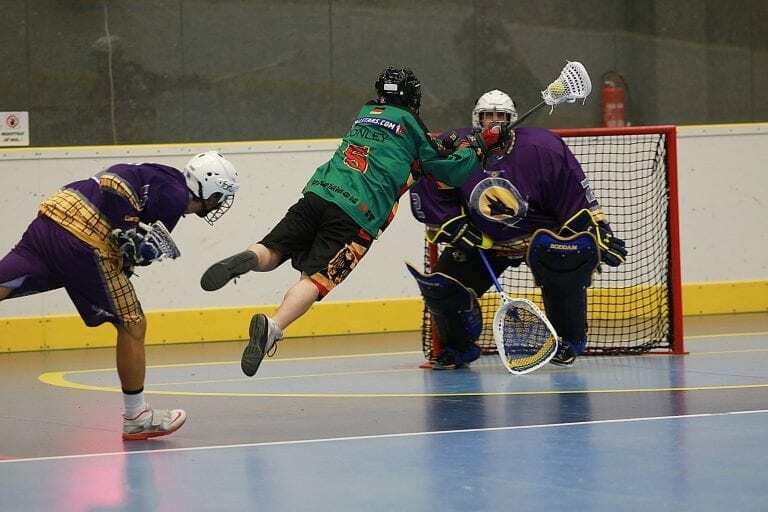 In box lacrosse, if a “too many man” call is assessed with an amount of time left on the game clock that is insufficient for a team to serve out in its entirety, a penalty shot is awarded. Curt Kinney (GM of Sweden’s box lacrosse team and great friend) came up huge for the save. We only had a short clock to work with, but my team was able to get three quality attempts at scoring in the last minute. All three were unsuccessful, sure, but they demonstrated that we were playing box lacrosse efficiently and with our minds geared together. Ours was the third overtime game of the placement games. That statistic alone speaks volumes about the quality of this tournament. Teams were battling all the way through the weekend, unlike American field tournaments that are plagued with the “we’re not playing for the championship so who cares” mentality. Alex Rabin stuck a shot in the low corner on an effective down-pick. His celebration was probably the worst overtime celebration I’ve ever seen, but in his defense, I’m not sure if he knew that it was sudden-death or not. I liked this tournament. I’ll be back for a bigger trophy. The top four finishers were all Czech teams, and I’d like for my Clydesiders to crack that threshold in 2019. I would’ve liked to do so this year, but I’m more than happy with how the boys played. A huge thank you to Jan and all the SK Jizni Mesto guys who worked hard to make this tournament a success. From top to bottom this tournament was just simply a fun and simple weekend. 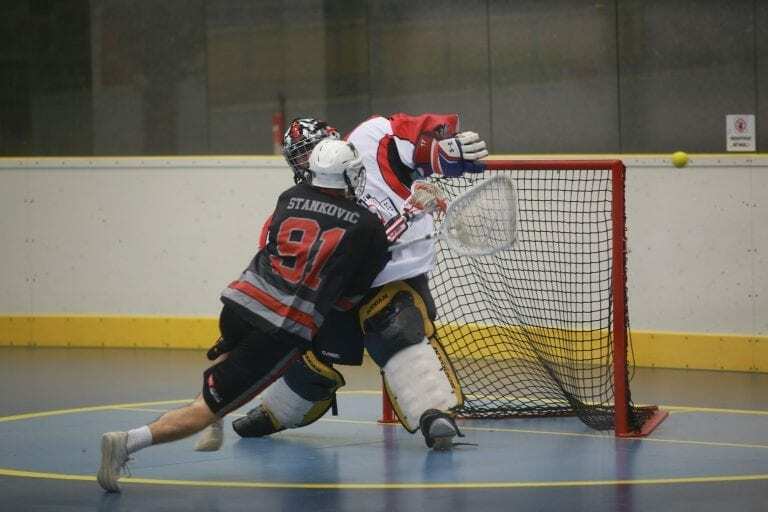 In my opinion, the highest caliber of box lacrosse available between the months of September and April in Europe is the level of box lacrosse available at the Winter Lax Cup in Jizni Mesto. I spent an extra 48 hours in Prague after the tournament, just tacking a couple more days per 2018 spent in Prague to my tally. 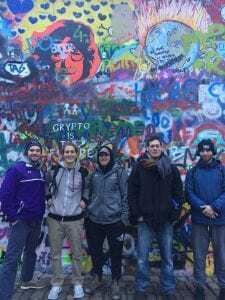 A couple of the boys and I took a walk around town, visited my favorite restaurant, and took a walk down to the John Lennon Wall. The Lennon Wall was a Soviet-era place where people would graffiti Beatles’ lyrics, or anything in general that supported the ideas of a freer and more peaceful world outside of the USSR, but has recently taken on a new role, serving as capitol of the world for Tinder pictures. We have a Glasgow Clydesiders sticker hanging on the wall circa April 2017 and is still there, coming up on it’s 1-year anniversary. Every once in a while one of the boys will send us a screenshot of a Tinder profile that has our sticker subtly hanging in the background. Gold. I also met with Tierney Larson, head coach of the Czech Women’s U19 team. She’s living and coaching in the Czech Republic now, and we just sat down for lunch to “talk shop” essentially. “Shop” being Americans living on modest means abroad doing what we love and getting to see the world. Tierney should have an article coming out shortly with LAS about her experiences, as we try to expand our audience to the women’s side of international growth as well. Joined by the company of friends, Niles and Jane, I joined the Haylett family for dinner our last night in Prague, a simple meal that’s becoming one of my favorite means of closing out an awesome trip. I wasn’t at all sad to climb on a big jet plane. I’ll be back in three months, after all. I’ve really become fond of the Czech Republic, and to find such an excellent tournament to add to my yearly calendar is simply amazing to me. One more reason to be back in Prague! I’ll be back in Israel for the next month or so, after a month of traveling Poland, Hungary, and of course the Czech Republic. I’m excited to get back to school visits and introducing lacrosse to those who’ve never seen/heard of it. On the docket for next month will be the introduction of lacrosse to the island nation of Cyprus and a slightly colder trip up to Oslo with the Fighting Pastries of Denmark for a little weekend developmental tournament. 2018 Lacrosse Mascots - Laxcots Now Available!